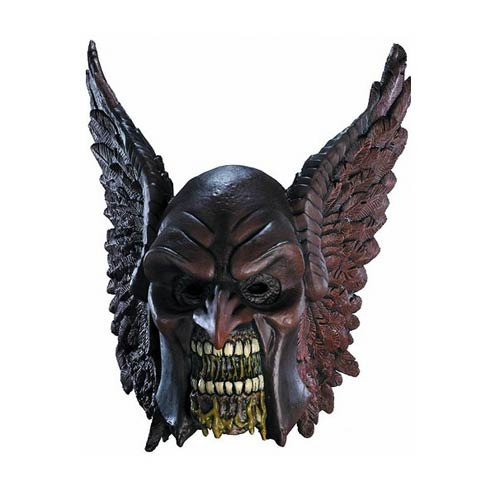 Inspired by the DC Comics crossover, it's the Blackest Night Hawkman Zombie Deluxe Latex Adult Mask! This comfortable latex mask fits over the head for easy wear. The detail on the rotting teeth and the decaying skull make this a high quality mask for both the collector and those planning to wear it for Halloween. Ages 10 and up.